Cabinet Material: Metal & ABS. 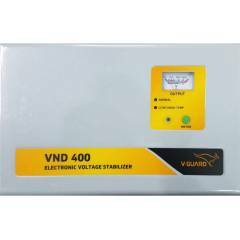 Great product with a wide range of voltage distribution. Good Product. Starts in 5 seconds after a power-cut, unlike other stabilizers which restart after 2-5 minutes. Steady output voltage in spite of fluctuations in input voltage.